You know how everyone says applying to college just isn't the same as it was when your parents applied twenty-five years ago? Well, it's true... Two mothers of high school juniors put together some facts about what happened!?! on their blog, Grown and Flown. Check it out here. Jim Montague is Director of Guidance and Support Services at Boston Latin School in Boston, Massachusetts, a public college preparatory school serving an urban, culturally and socioeconomically diverse student population in grades 7 to 12. Helen Montague is Director of College Counseling at Lincoln School in Providence, Rhode Island, an urban independent college preparatory school for girls from pre-kindergarten through grade 12. We are pleased to feature this husband and wife team as our counselors of the month for January in the new year of 2013. Twice the advice from a duo of counselors who approach our questions from the vantage points of two distinguished educational institutions. Boston Latin is this country’s oldest school, founded in 1635, with 2,414 students among whom today more than 40 languages are represented. Latin admission is based on a secondary school exam and a strong academic record. “We think of them as the best and brightest in the city of Boston,” says Jim Montague. Seniors, last week we addressed some of the questions you don't want to ask in a college interview. Remember the general rule is to ask questions that cannot be answered via advance homework -- for example, by perusing the FAQs page of the college's website. What kinds of students are most successful here? What do you like about your college? Most colleges have a specific personality that goes beyond its academic offerings. How would you describe this college's personality? Is there a type of student who is smart and well prepared but who would be happier at a different kind of place? Why or why not? • If yes, why did you come and what did you like about it? What would you have changed if you could have? What surprises did you experience? How has the campus changed? • If not, why did you choose to come to work here? What kind of opportunities or challenges does this college offer that were not available where you went? College Admission is going to be off enjoying family and food until next Monday. We hope you are, too. In the meantime, here's some turkey trivia to share around the dinner table. For example, did you know that for the colonists and Native Americans, turkey was not the bird of choice on the menu? It's believed they actually served deer, rabbit, lobster, seal and swan. This year, however, close to 50 million turkeys will be eaten. That might not have happened, though, if Benjamin Franklin had had his way -- he wanted the turkey to be the national bird of the United States of America. Okay, enough already! We hope you savor your Thanksgiving turkey, your family, and all the blessings of your life this year. Thank you, thank you… to the students, parents, and administration of Sterling High School in Sterling, Illinois. College Admission spoke to more than 600 students last week at this high school in western Illinois. It was a pleasure to hear about their hopes, dreams and concerns -- and answer their questions about everything from grades and testing to performing arts as a major and support for learning differences. College Admission has a new look for the new school year! We've redesigned the CollegeAdmissionBook.com website to make it easier for you to get our expert, comprehensive and compassionate advice on the college admission process. Our blog is now called True Admissions. It's simpler than ever to navigate through our daily updates and our continuing series of Five Questions for the Dean and the Counselor of the Month. Our ever-expanding Gourmet Guide for your college road trip is now conveniently laid out state by state and college by college. Our new online home better reflects who we are -- a book, an online community, and speaker events. Use the navigation panels on the right of every page, and the drop-down menus at the top of every page to explore. And let us know if there's something else you'd like to see here at College Admission. We're always fine-tuning and would love to hear your suggestions! We're guest blogging at Examiner.com today on strategies for surviving the college application process in the face of the urban myths in the media and scare-mongering on the soccer sidelines. Thank you to Examiner.com's Lauren Starkey for the opportunity to share our thoughts and advice on embracing the facts and ignoring the hype. So what exactly is "broccoli talk"? Find out here. You'll recognize it immediately, we're sure! Read more about Ignoring the "Broccoli Talk"
College Admission has gone into a fifth printing in less than a year! And look for us at your neighborhood Barnes & Noble in July and August. B&N has selected College Admission as part of its “Get Ready For School” campaign! Thank you to our readers -- students, parents, and counselors -- for your support and confidence in our book. And thank you to our teams at Crown Books and ICM. Thank you to Schools.com for including College Admission as one of their "Best College Counseling Blogs." 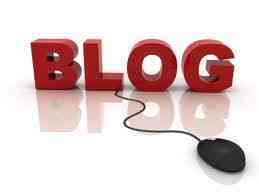 From their post: These blogs are the cream of the crop. They provide comprehensive information on virtually every aspect of the college admissions process. From financial aid to testing tips to sanity savers, chances are you can find what you need here. Each also offers a collection of resources that provide in-depth coverage on almost every aspect of selecting a school and applying for college. Christine VanDeVelde will speak to the parents and students of Lycee Francais La Perouse, San Francisco, about College Admission: From Application to Acceptance, Step by Step on Thursday evening, January 19th. The Lycee Francais Director of College Counseling was one of the contributors to our book! Looking forward to it!